The Indian Navy is facing acute shortage of the Naval Utility Helicopters (NUH) for replacing its aging fleet of Chetak helicopters for the frontline frigates and offshore patrol vessels with small-decks and aircraft carriers, as also for the shore based flights to extend support out at Sea for the smaller ships not designed to carry NUH. With th e induction of the first aircraft carrier, INS Vikrant, the Search and Rescue (SAR) Alouette helicopter was also inducted in 1961. The survey ship INS Darshak, which had been designed to embark a helicopter, first embarked an Alouette in 1970 to help survey the Gulf of Kutch. Likewise, Alouette flight was assigned to the fleet tanker INS Deepak for ‘Logistic Support’ in addition to SAR role. The Leander class frigates were designed to embark Multi-Role Anti-Submarine Torpedo Carrying Helicopters (MATCH). It is an open secret that the biggest threat to India’s maritime interests and its surface fleet comes from enemy submarines. While every warship has hullmounted sonar for tracking submarines below the surface, the potency of ASW helicopters to counter the sub-surface threats is unmatchable. Adverse hydrological conditions and currents in the Arabian Sea, Bay of Bengal and the Indian Ocean impinge on the detection capability of the hull-mounted sonar. Conversely, the ASW helicopters with its dunking sonar capability prove far more effective and accurate under such conditions. ASW helicopters prove a better platform as these can not only hunt a submarine, its own detection and hunting down by a submarine is very nigh impossible. After the decision had been taken for the army, navy and air force to have a common helicopter, the French Alouette III was chosen for indigenous manufacture at the Hindustan Aeronautics Limited (HAL). 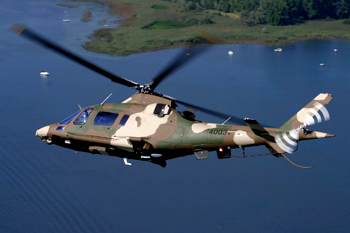 The Navy’s first three helicopters were imported from France. The remainder were supplied by HAL as Chetak. In the early 1980s, HAL indicated that they were considering discontinuing the production of Chetak helicopters. Since the production of the replacement Advanced Light Helicopters (ALH) would take considerable time, HAL continued production of Chetaks. The Indian Navy received its first ALH, Dhruv on March 28, 2002. It was expected to receive a total of 120 units to replace Chetak helicopters. The naval variant, Dhruv is fitted with the Super Vision-2000 maritime radar, capable of detecting targets with low radar cross section at a range of 200 km. The anti-submarine version of the helicopter is fitted with dunking sonar, torpedoes, and depth charges. The helicopter may also be fitted with the missiles for anti-ship roles. Considering that it is a single-engine helicopter and had certain issues with its wing folding mechanism, in 2008 Indian Navy pronounced Dhruv unsuitable as an ASW platform. However, Indian Navy continued to procure Dhruv as a multi-role utility platform. In 2012 the Indian Navy launched a $1 billion global tender for the purchase of 56 light Naval Utility Helicopters (NUH) to be acquired by 2016 to replace the ageing HAL Chetak. The tender was issued to AgustaWestland, Bell Helicopter, Boeing, Eurocopter, Kamov and Sikorsky. However, within short span of two years the tender was cancelled in August 2014. 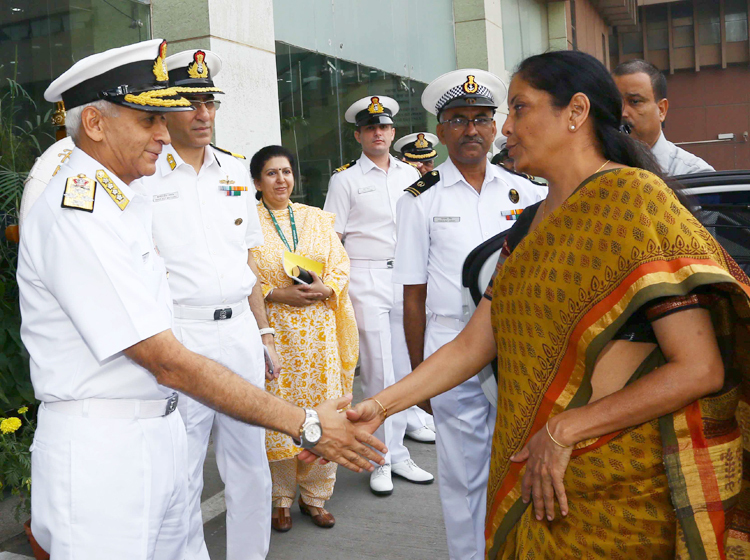 It is learnt that Defence Minister Nirmala Sitharaman in a systematic manner has been reviewing all ongoing and pending projects over delays in specific defence acquisition projects. In consonance with the ongoing momentum Defence Acquisition Council (DAC), the highest decisionmaking body for defence procurement, chaired by Defence Minister on Monday, October 30, 2017, has accorded Acceptance of Necessity (AoN) for the procurement of 111 NUH worth 21,738 crore ($3.2 billion). 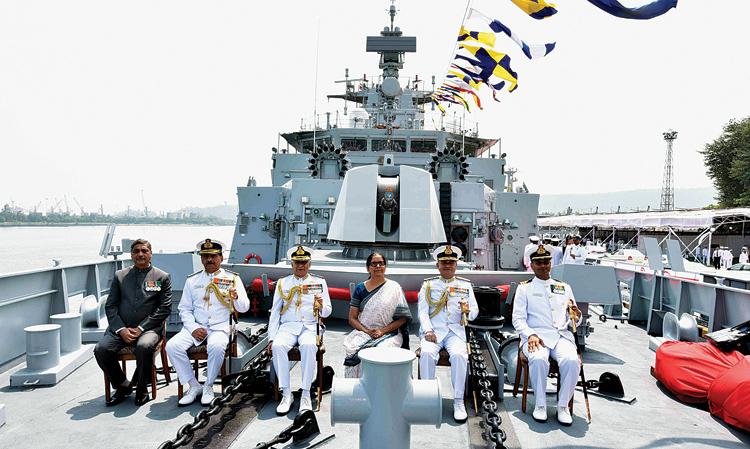 Indian Navy has been making its proposals under the Strategic Partnership model to give a major boost to indigenous defence manufacturing capabilities in the country, especially in the Naval Aviation segment. 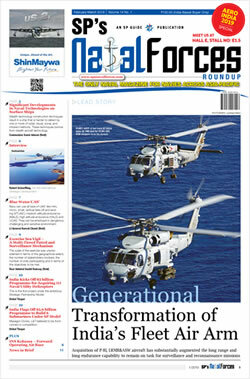 The Ministry of Defence (MoD)-Indian Navy combine will now issue the formal Request for Proposal (RFP) to original equipment manufacturers (OEM) for the first 16 helicopters to be imported in flyaway condition, with the balance 95 to be manufactured in India by an Indian manufacturer in partnership with the selected global OEM. RFP for the NUH is expected to be issued by mid-2018. Going by the stipulated provisions of the Defence Procurement Procedure, it could take two years, or more before the main contract is signed. The specifications/contours of the approved scheme of NUH signal a pathbreaking amalgamation of roles of ASW and light-attack missions which were earlier the sole preserve of heavier Westland Sea King fleet. This initiative will provide a kind of force multiplier capabilities to not just the frontline warships, but also to the medium and minor war vessels through the shore based flights. The twin-engine helicopter will be flown by two pilots and have wheeled landing gear and blade-fold capability. India wants NUH to be indigenously built with 40 per cent indigenous content. Indian Navy requires OEMs to offer NUH that can operate in adverse weather day/night conditions for SAR and conduct casualty evacuation and logistics and communication roles with under slung cargo. Other tasks include limited electronic-intelligence gathering, ASW with a light torpedo or depth charge, dynamic response during aid to civil authorities, and anti-piracy missions with small arms. 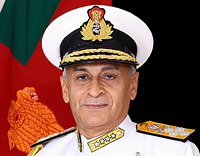 Indian Navy wants to operate NUH from small-deck of frigates and offshore patrol vessels, as well as from aircraft carriers. 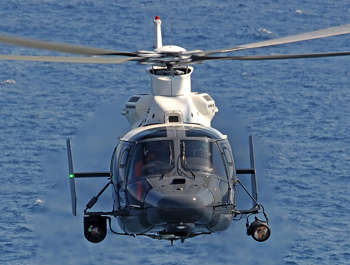 Likely OEMs to participate in the tender are Airbus Helicopter’s AS565 Panther and Sikorsky’s S-76B. 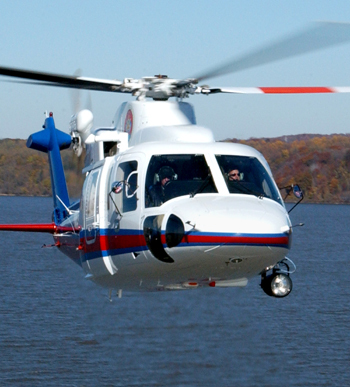 Bell Helicopter, Leonardo and Russian Helicopters could also offer own product. The RFP stipulates a wheeled helicopter with an all-up weight that does not exceed 4.5 metric tonnes, powered by twin turbo-shaft engines with an electronic engine-control mechanism. The NUH is to be capable of deploying at least one lightweight ASW torpedo or two depth charges, with the ability to mount 12.7mm machine guns or rocket launchers on either side. Indian Navy has been facing shortage of multi-role helicopters for deployment on warships for more than a decade. On a long-term perspective Indian Navy has a plan for acquiring 123 more Naval Multi-Role Helicopters (NMRH) to be used as ship borne flights of two helicopters each for its frontline destroyers and frigates to form integral air for critical operations out at sea. It is learnt that the RFI for NMRH has been floated by MoD globally on August 22, 2017. Indian Navy is also finalising an RFP for a follow-on NMRH to acquire 75 more helicopters as part of a fresh bid. The NMRH will progressively replace India Navy’s Westland Sea King Mk. 42B fleet. Apart from the NH90, contenders for the NMRH bid could include the Lockheed Martin/Sikorsky MH-60R (which was dropped from the original NMRH competition since MoD did not want a single-vendor foreign military sale on which the Pentagon had insisted) and Airbus Helicopters H225M.